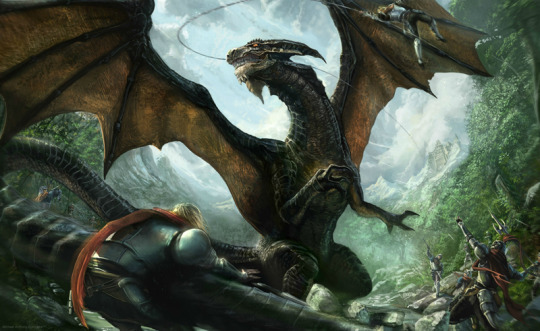 It was upon a Day of Destiny, that a King’s Army – met this Dragon. At the Forte of a Castle, in the Greens of the Wood. At the Falls of a River, in the Rocks of the Flow. A Dragon came, to test the might – of this Army and his Knight. With Spear and Throw. With Crossbow and Shoot. These are the weapons; that these Knight’s did choose. With Sword and Thrust. With Snare and Hold. These are the weapons; that these Knight’s did wield. In Battle Steel, with Capes in Red. In Command of King, with Iron of Will. This Army came! In Thick of Hide, with Powerful Wings. In Teeth of Talon, with Grinning Bite. This Dragon came! What of the Knights? They held their Stance. They aimed their Lance. They fought this Dragon, the best they could! A circle of Knights, from all-around. A Mythical Beast, for Bow and Cross. They fired their volleys! What of the Dragon? He held his ground. No arrow pierced. He beat his wings. No sword could bite. He lashed his tail. No stance could hold. Frederick fell! He bit through snare. He reared so high. With powerful flick. Did Robin fly! What of this – Dragon’s Fight? All day for Knight. Our Knights did fall. All lunch for him. Our Army no more! No chance for King. No Castle could Keep! A Mountain of Rock – this Dragon of Rent! This entry was posted in Fantasy Dragon Art and tagged battle dragon, castle, dragon, dragon armour, fantasy, king, knight, medieval, mythical creatures, western dragon. Bookmark the permalink.